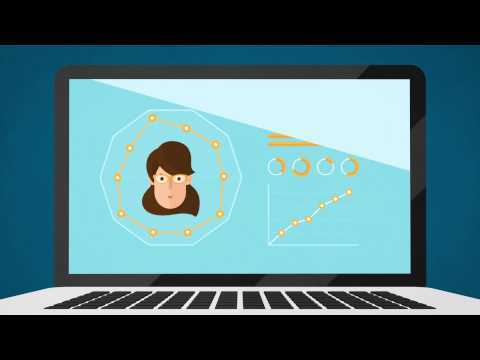 Talentsoft is the leader in cloud-based Talent Management and Learning software. Its solution ties competency management to career paths and learning programmes. Talentsoft’s team is dedicated to enhancing the collaboration between HR, managers and employees with the smartest, most intuitive and most ­flexible Talent Management software. Talentsoft places the employee experience at the heart of its solution. Its intuitive interface and collaborative features encourage employees and managers to become involved in their company’s HR processes. The platform adapts to different operational environments of businesses, such as different countries, HR culture, and local regulations, enabling global talent management while respecting local requirements around the world. Our goal: build a solution that helps employees attain their career objectives, while being more engaged and productive, by giving them the tools for personal and professional development. Talentsoft makes it possible to efficiently deploy modules covering recruitment, training, performance & competencies, careers and compensation. 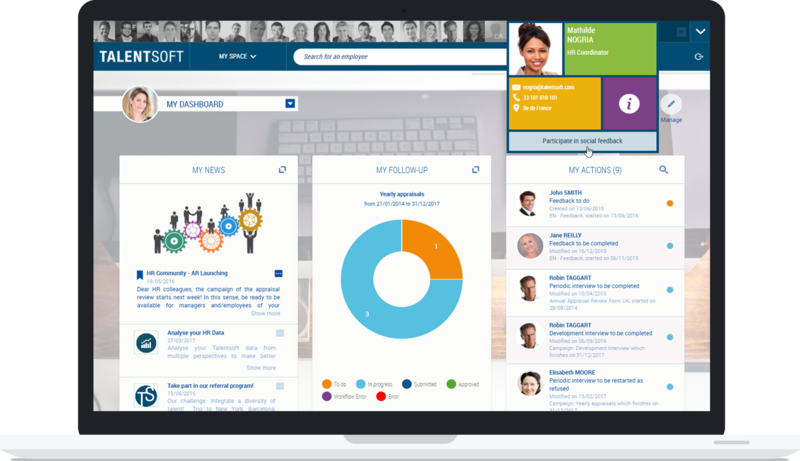 My Talentsoft: My Talentsoft transforms the way to engage employees by enhancing interactions around HR and business challenges. Build meaningful relationships between HR, employees and managers by connecting them together and pushing in-context HR content, all within one collaborative digital platform. Recruiting: Talentsoft Recruiting helps recruiters and managers to free up their time to build meaningful relationships with candidates, by enhancing their productivity and decision-making abilities. Our highly customizable solution allows you to engage candidates from sourcing to onboarding and all along their personalized employee journey, by creating continuous and valuable interactions from the start. Performance & Competencies: Talentsoft Performance Management helps HR to create collaborative assessment of goals and competencies while building a continuous conversation within your professional ecosystem to design highly personalized working experience. Talent Review: Talentsoft Talent Review helps you nurture your key talents through mentoring and training development plans so you can build closer relationships to accelerate their career development and reach your company's long-term objectives. Learning: Talentsoft Learning helps you plan, design and deliver highly targeted training programs while encouraging social interactions among employees, so you can build a continuous and engaging learning experience that will result in stronger relationships and great success for your organization. Compensation: Enable your managers to make better decisions during the salary review process by enriching and providing objective indicators with information from all HR processes. Integrate any compensation policy to adapt your salary review process to your organization’s challenges. Hub: Because each organization is unique, Talentsoft Hub provides a scalable Core HR usable as a primary, replicant or hybrid system delivering the quickest time to value for HR and IT. 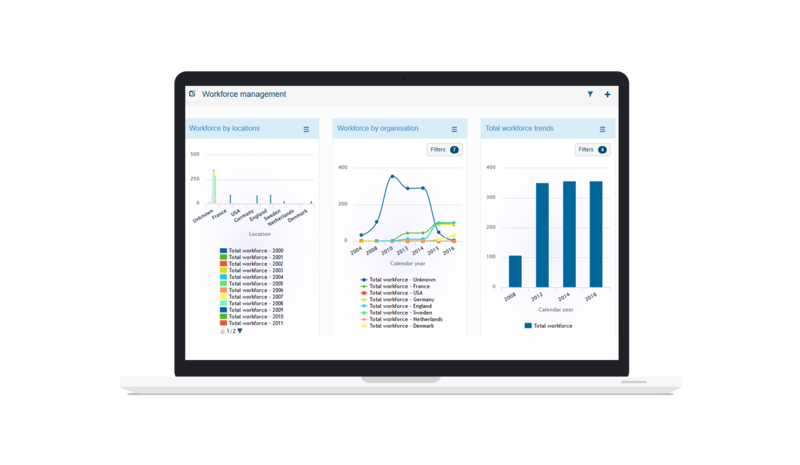 Talentsoft Hub’s in-context user interface combined with an automated data quality check allow your employees to become active contributors of your workforce management. 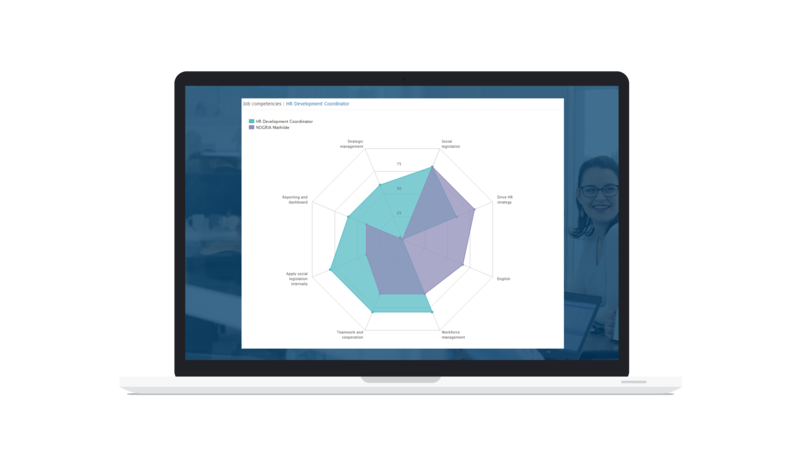 Analytics: Talentsoft Analytics adds a new dimension to HR decision-making through ready-to-use dashboards and automated insights that reveal hidden trends which allow you to anticipate challenges in your organization. Workforce Planning: Transform your organization by aligning your HR strategy to organizational objectives, and being transparent in communicating your staffing challenges. Compare your current skills framework to tomorrow’s target to identify competency gaps and define appropriate development plans.